So often we’re in a hurry for “something,” never enjoying the journey to the “something.” God is not! I was reminded this morning that Jesus (God), came as a baby (another amazing thought, but not part of my main point, is, God trusted humans to raise this Child–think about it!). Put first things first–God–be content in your journey. If it was up to me, I would have started right out working on gettin’ people “saved!” After all, wasn’t saving people the point of His coming? Instead, God chose the stinky diaper route. He crawled, then walked, then ran right into the rough teen years. He learned to work, got dirty, slept on hard surfaces, was teased and ridiculed. Finally, when it was time, before God the Father would proclaim Him as “His beloved Son,” He had to humble Himself and be baptized by a man, only to be rewarded by the wilderness! To start His ministry he began choosing flawed, rough men and had to prove to them who He was. It was a slow, steady, build relationships and ruin relationships (especially with the Jewish leaders), walk around on earth without a place to lay His head existence–ending in more persecution and death! But that wasn’t the end–He ROSE, ascended, was glorified and received the prize of the Holy Spirit which He then sent back to earth to His waiting men, who He then trusted to spread the good news. In turn, they received persecution, ridicule, slept on hard surfaces, etc . . .
Our lives as Christians are no different. We start with dirty diapers and must grow–you can’t trust a baby with a “job!” We have to crawl before we walk, and walk before we run. However, the running is just for short stints. 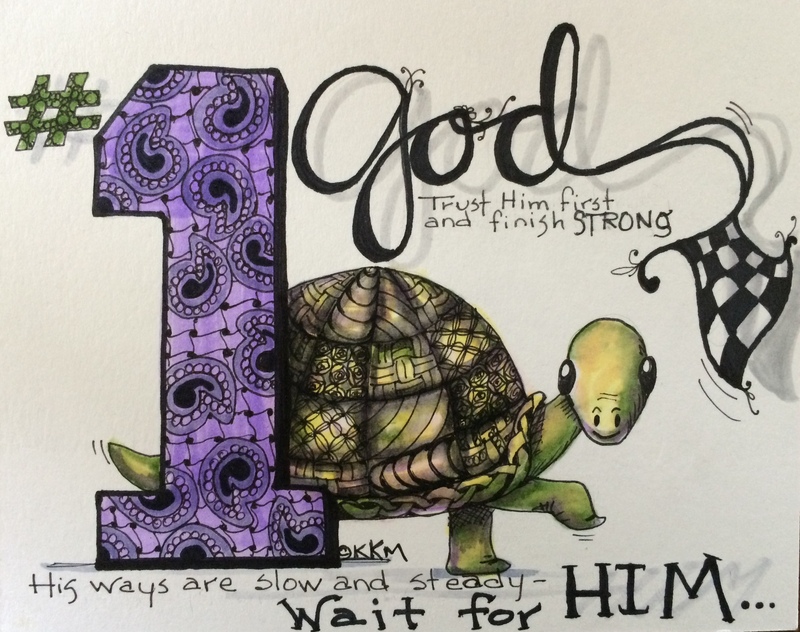 It’s the slow and steady, building relationships with God and people walk, that wins the prize and finishes strong. It’s about living life in the moment with God–waiting on Him. Enjoy the journey–don’t be in too big of a hurry for “something”–you’ll get the “something” when God sees you’re ready–but don’t hang out in your stinky diapers either ;-0. ← Get Out Of The Hedges–Move Freely! We are currently visiting our daughter and fam, including our just-turned-one granddaughter, who is just starting to walk. This is a very poignant and timely post for me! Thanks, I’ll check it out. Have fun with grandbaby.